Easter Offer: Save Up To 66%! Use BulletVPN apps to get around geoblocks in a matter of minutes. Our Global VPN network allows you to unblock any site you want, anywhere you want. No more buffering thanks to ultra fast servers spread across the globe. Why should you choose BulletVPN ? The setup is as easy as counting to three. We have easy to use apps and manual screenshot guides for Android, Iphone, PC, Mac and your routers. And if that is not enough we do provide remote support to help you with the setup if you cant get it done. We provide secure payments through Paypal, Bitcoin and most popular credit cards. None of your payment information is stored at BulletVPN. We do offer a no questions asked 30 day money back guarantee. 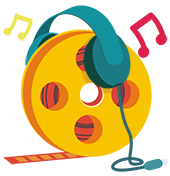 Enjoy watching your favorite movies, and listening to top chart songs on the move or from home. With our special tweaks, our servers will allow you to securely access any global geo-location at the fastest speeds, even behind the most limiting watch dogs. BulletVPN provides a network of servers in all parts of the globe, and is constantly growing. If you find that a location is not supported and you wish to have it added, please let us know and we will do our best to roll out to that location. We strive to provide the best support possible a fast as possible. We have your back, and strive to address all your concerns and issues in English, German, French, and Danish. VPN is about security and speed. We do use industry standard encryption protocols. But still speed is essential, as such we make sure our servers are not overloaded and use premium grade carrier lines to provide the highest speeds possible. We're all over the world! Connect to any country in the world, and browse the internet as if you were actually there. BulletVPN provide a top service with apps for all devices, implementing secure protocols and enough muscle to unblock censored or restricted content. 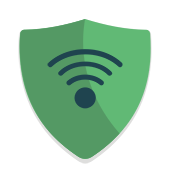 The price is slightly above average, but BulletVPN is a fast, extremely easy to use, and versatile service. If you are looking for a reliable, fast, and secure VPN provider, I would definitely recommend BulletVPN. BulletVPN is extremely easy to use and provides a remote setup service, making it a solid option for beginners. It also offers a reliable connection and select servers have the ability to unblock sites, so it’s suitable for those wanting to stream. You’d really need to give BulletVPN a try yourselves to actually feel its superpowers. Considering it offers a money back guarantee as well, what have you got to lose? BulletVPN is one of the most trustworthy VPN solutions for users. It lets you browse security from multiple platforms and helps you access the geo-restricted content without any security breach. Of the many VPN providers in the market today, BulletVPN stands out both due to the quality of features provided, and the good reputation that the service has among its current customers. 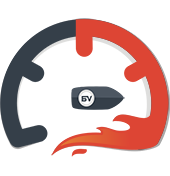 All factors considered, BulletVPN performs really well in most of the key areas that are used to judge the quality of a VPN service. With a credible provider such as BulletVPN, subscribers should look forward to a high level of online security, as well as a whole lot of other smart little features. The BulletVPN app is a marvel when it comes to how easy it is to use. The app is designed to make accessing its basic functions as easy as can be, and is available for Windows, Apple, and Android devices. BulletVPN grants ultimate respect to the right of their customers to enjoy their privacy. This is why they do not bother to log the sites visited by them, as this would be a violation of their zero logs policy. The BulletVPN apps are really easy to use and navigate through, and they also don’t take up that much space on your device. If you are looking for a VPN service that allows you to watch American Netflix outside USA, give BulletVPN a try. VPN services that provide similar support are very few. BulletVPN's 30-days money-back guarantee certainly serves as an indicator of the confidence they have in the high quality of their product.